NEW! 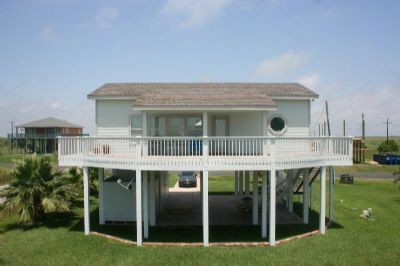 Luxe Crystal Beach Home - 100 Steps to Beach! 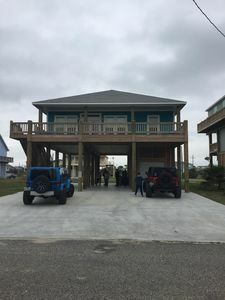 Treat yourself to a memorable Crystal Beach getaway and stay at this newly constructed 3-bedroom, 2-bathroom vacation rental home! 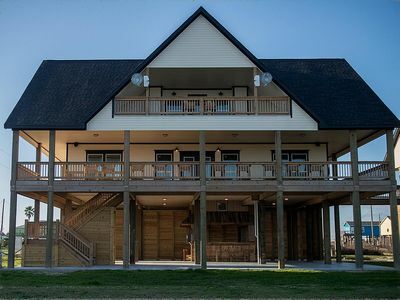 Located just 100 steps from the beach, this breezy abode features sleeping arrangements for 12 plus spectacular Gulf vistas from the wraparound deck. 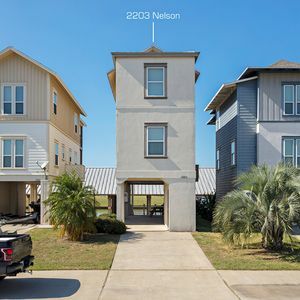 Whether you're exploring Galveston with a ferry ride or simply seeking long rejuvenating days on the uncrowded shores across the street, you'll love returning to this spacious home at the end of sun-filled days! 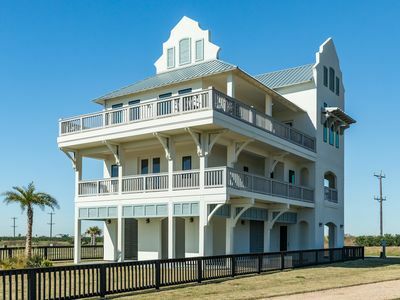 Arrive at this tastefully appointed oasis to find soaring 10-foot ceilings, new furnishings, and a wealth of windows. 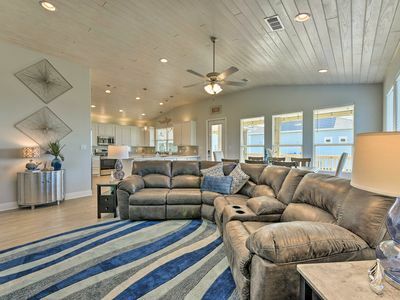 The spacious living room is the ultimate place to kick back after a beach day, as it features a plush sectional sofa and flat-screen satellite TV. A sprawling open-floor concept connects the living area to the dining table and kitchen, making it easy to entertain! Your chef elect will love cooking in the immaculate fully equipped kitchen while guests mix and mingle at the breakfast bar. 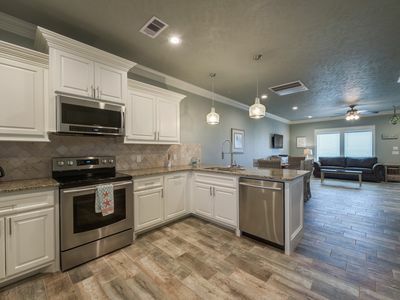 Stainless steel appliances and granite counters make cooking truly effortless. 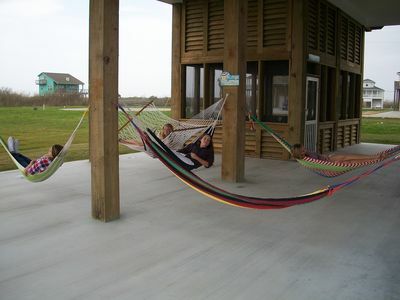 At dusk, step onto the string-lit deck to soak up the scenic Gulf views, sound of the surf, and fresh tropical breeze. 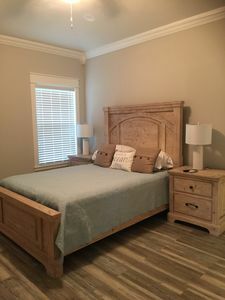 For a replenishing night's sleep, retreat to the master bedroom outfitted with a sumptuous king bed, flat-screen satellite TV, and en-suite bathroom. 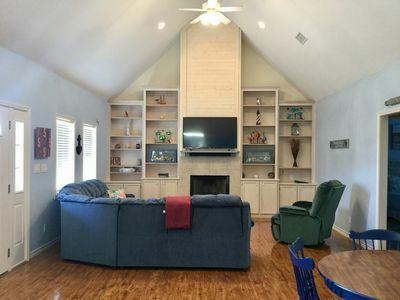 Guests are sure to sleep soundly in either the second bedroom or third bedroom that's perfect for the kids! 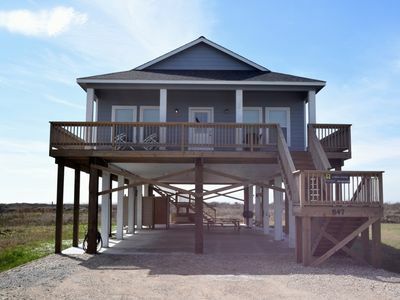 With the beach just 100 steps away, this property makes it easy to enjoy the sandy shores of Crystal Beach. Pack your beach chairs and towels for a perfect day of boogie boarding, paddle boarding, and swimming with your loved ones! 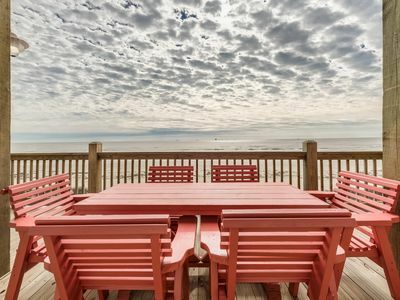 On days when you don't feel like cooking, make your way to Steve's Landing or the Tiki Beach Bar & Grill for a bite to eat! 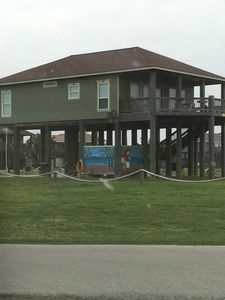 Other nearby attractions include the Fun Spot Water Slide and Anahuac National Wildlife Refuge. 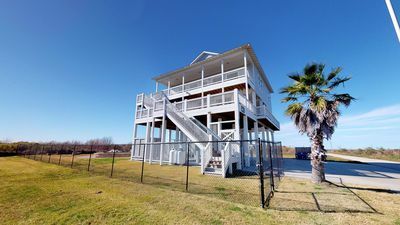 Explore more of the area when you hop on the Port Bolivar-Galveston ferry and visit historic Pleasure Pier. More family-friendly fun can be found at Moody Gardens or Schlitterbahn Waterpark! 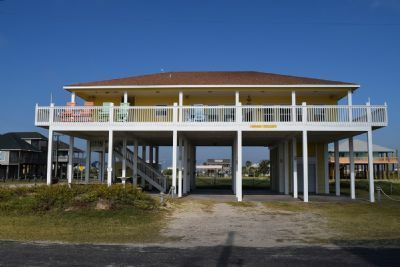 - Amenities include a fully equipped kitchen, 2 flat-screen satellite TVs, free WiFi, central heating and air conditioning, linens, towels, in-unit laundry machines, complimentary toiletries, a furnished deck, gas grill, outdoor shower, ample parking, and more! 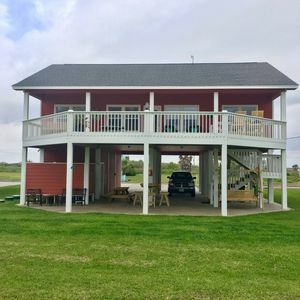 - Unbeatable Crystal Beach location - Just 100 steps to the beach, plus only minutes from local restaurants and Galveston! 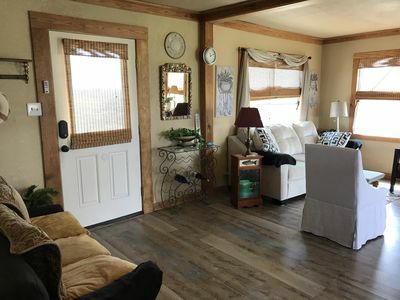 Shalom 5 ---- Please Email Owners For Quotes - Not VRBO - THANK YOU! 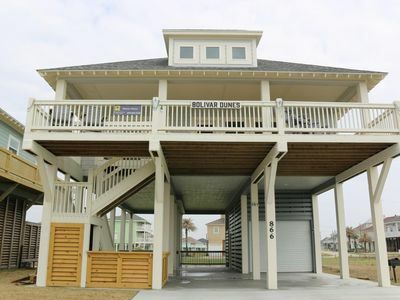 Seaing is Believing - Brand new beach front home! 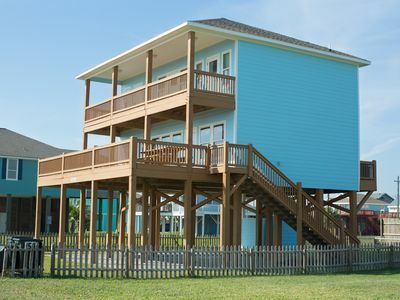 Shark Shack- New And Beautifully Decorated 3rd Row Home In Holiday Beach! 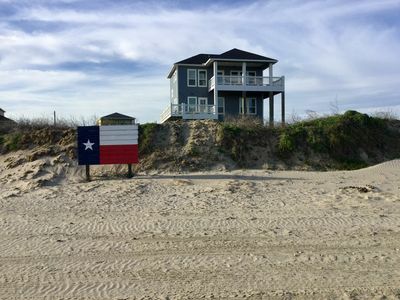 FABULOUS Brand New 3/2, Ocean State of Mind Texas.